Oslo is the capital city of Norway. It's also the largest city in the country and the third largest city in Scandinavia. There are a handful of sights spread throughout the city. 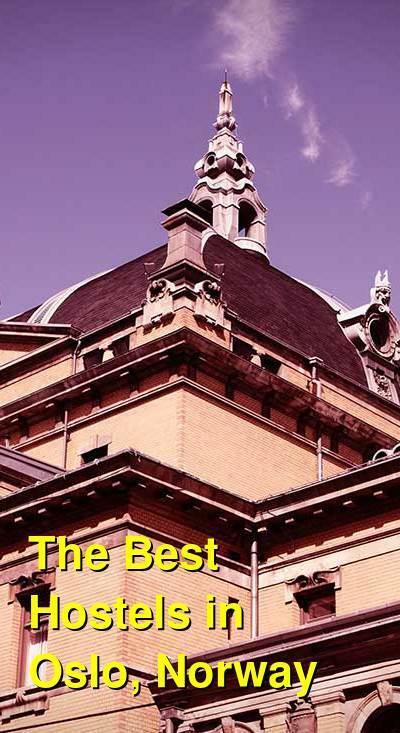 Some of the most popular include the Royal Palace, the Opera House and the Oslo Cathedral. The National Theatre in Oslo is a very important venue for dramatic arts in Norway. It is located very close to the Royal Palace and is near many popular sights in the city. It is also very close to public transportation, making it an ideal area to base yourself during your time in Oslo. How much do hostels in Oslo cost? Anker Hostel is a large facility with 150 rooms and 650 beds during the summer months. During the winter months it is downsized to 50 rooms and 290 beds. There are dorms that range in size from four to eight beds. Every room has a private bathroom and shower. There is breakfast available for a charge. There are a variety of items for sell to guests including an Oslo pass, t-shirts, bags, postcards, stamps and toiletries. There is also a small cafe and bar as well as a laundromat available to guests. 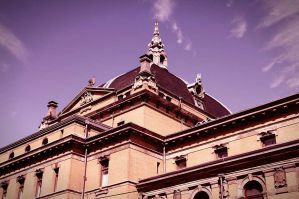 Nearby attractions including the Munch Museum, the Opera House, the Royal Castle, Grunerlokka, and Concert Halls. This hostel has a pleasant atmosphere and is located right in the middle of Oslo. It's just a short walk from the parade street Karl Johans gate, the train station, and Oslo Centralisation. It's close to public transportation and is only a one minute walk from both bus and train stops. It is located in Kvadraturen where you will find pubs, restaurants and museums. You can choose between single, double, twin, family rooms and mixed dorms. If you're interested in preparing your own meals, there is a kitchen available to you as well. Breakfast is available to guests in the cafe for an additional charge. There are also laundry facilities. This apartment style hotel is located right in the middle of Oslo. It has 21 apartments and can hold up to 50 guests. The apartments have a pleasant atmosphere and help you feel like you're really in a home away from home. The bedrooms are furnished with comfortable decor and there's a television in the living room. There's also a full kitchenette available in each apartment. If you wish, you can have breakfast delivered directly to your door. The building which houses the hotel was built in the 18th century. It's just a few steps from Karl Johan and is in walking distance of many different restaurants, nightclubs, and more. It's also just a five minute walk to the fjord.